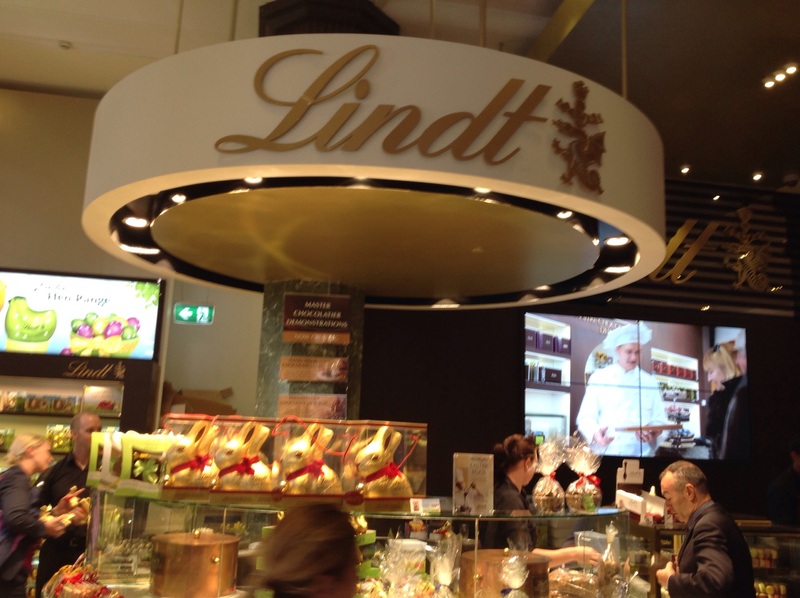 So much has been written about The Lindt Cafe reopening in Sydney in the last week, so I thought I should go and have a look for myself. So after a busy day in the CBD on Wednesday, I walked up Martin Place from George St and entered the Lindt Cafe, which has now been done up in style. There was a buzz in the air, echoing a happy sound of people enjoying themselves. 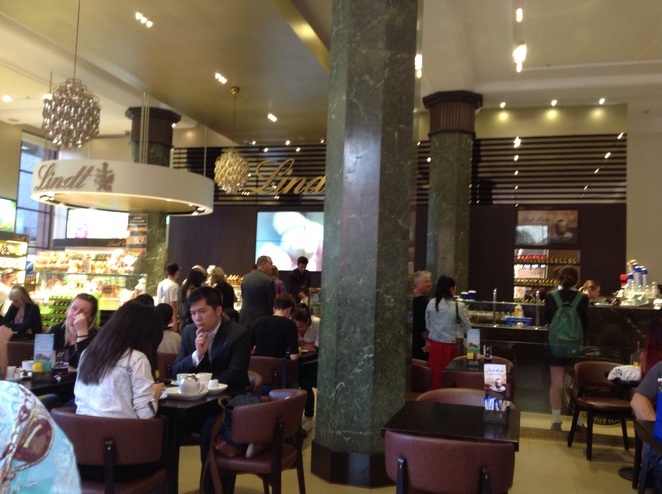 Many customers were eating a light meal or just having coffee and a chat with friends. The surroundings are lovely in this cafe and the atmosphere felt very normal and relaxed, so I decided to ask for a table and have a light meal. I chose a goat's cheese quiche which was served with a side salad. 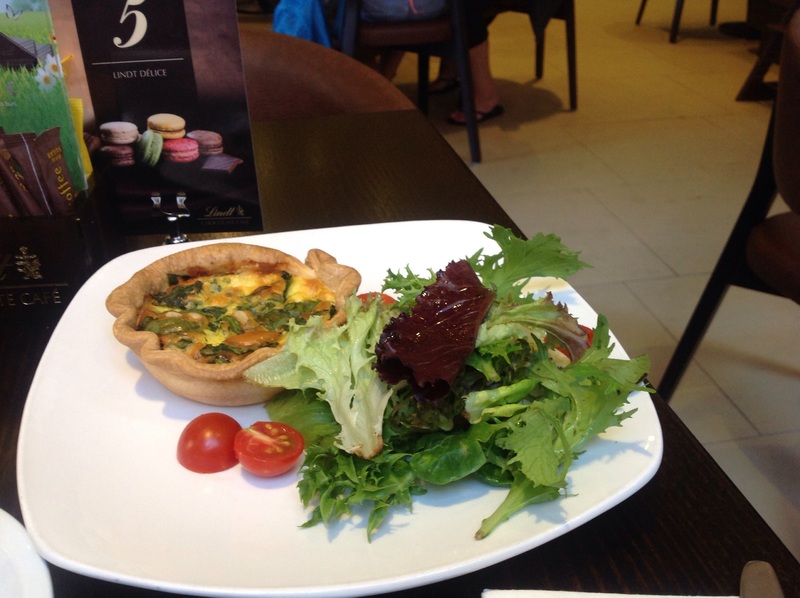 The quiche was light and tasty and the salad fresh and crisp. Next I ordered a chai latte which was creamy and full of flavour. 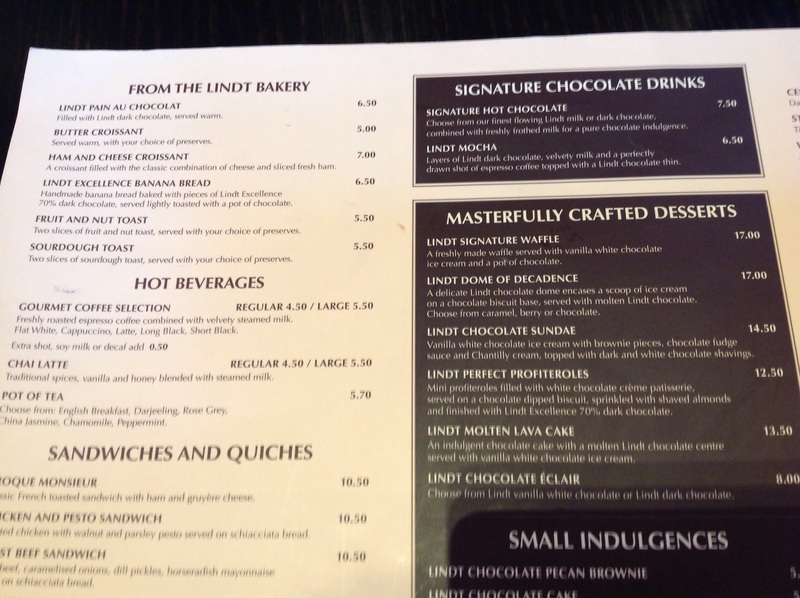 I have often enjoyed the Lindt Cafe Hot Chocolate which is a specialty of the house. It comes in three varieties dark, milk or white chocolate. My favourite is the dark chocolate, though a little expensive at $8 you get two large cups in a serve, and you will not find a better hot chocolate anywhere. The menu is varied Breakfast is served from 7.30am Lunch from 11.30am. 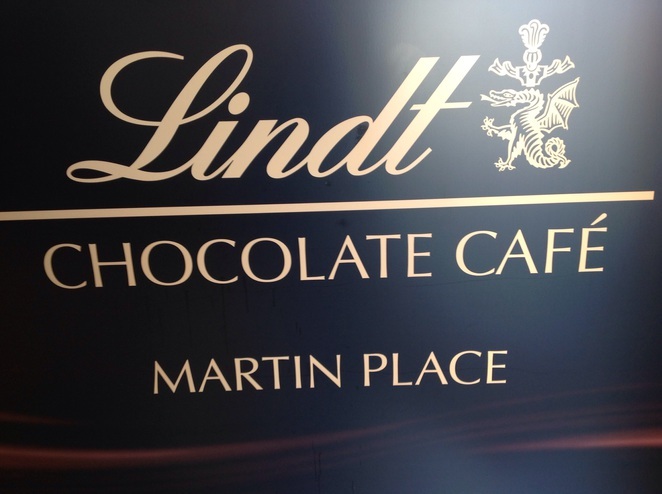 We have heard so much awful news about the siege that took place on December 15th and 16th last year inside the Lindt Cafe In Martin Place, the effect was devastating to all. In total contrast, I felt uplifted to experience this happy atmosphere surrounding me over lunch the day I dined there. What a great decision of management to reopen on March 17th this year. They have shown courage in doing so and have done it with real style. 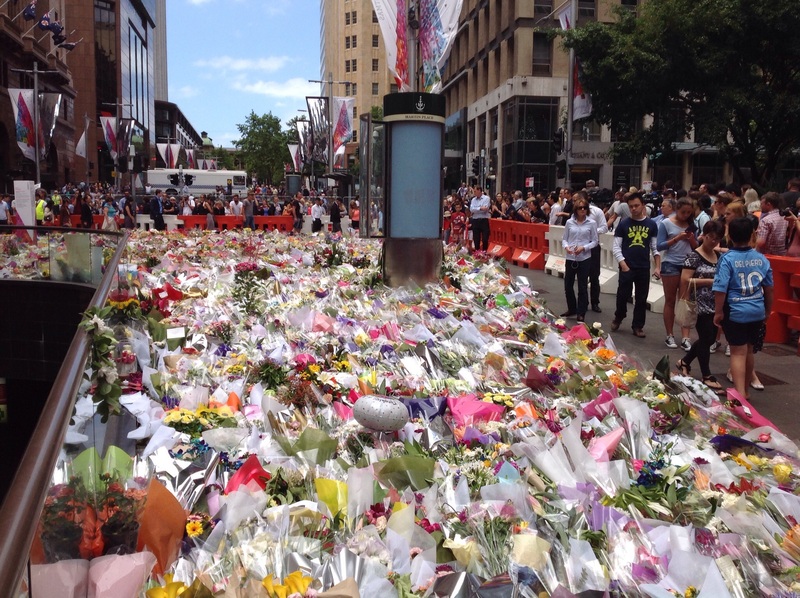 The pictures of the thousands of bunches of flowers shown here was a spontanious out pouring of grief by the people of Sydney after the shooting and death of three hostages in the seige. I was in Martin Place a few days after these flowers were placed near the Lindt Cafe and took these photos. 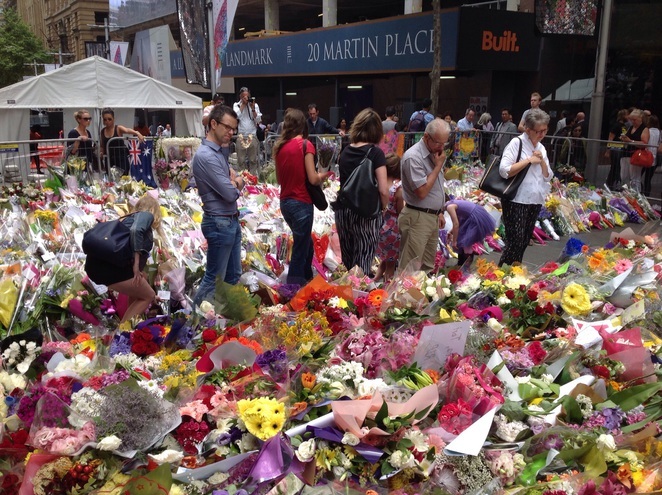 I have never seen such a display of flowers and probably never will again. A beautiful sight that touched the hearts of all who witnessed it. 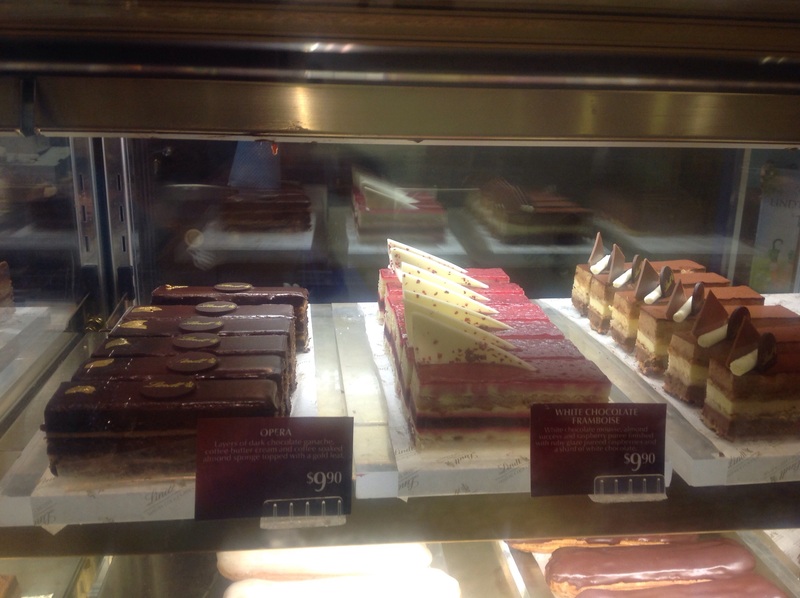 If you find yourself in the city and feel like some refreshments go to the Lindt Cafe in Martin Place. 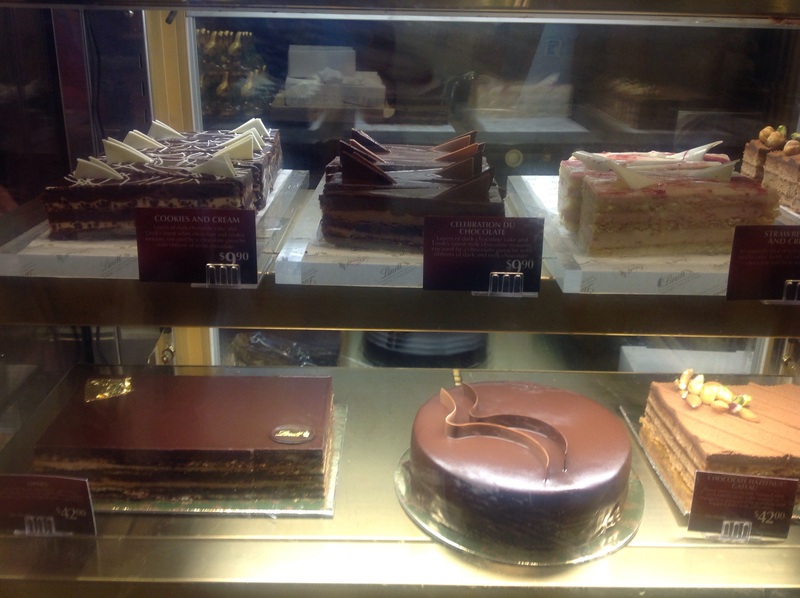 Shout yourself a serious luxurious indulgence of chocolate delights. Also join with those customers who have chosen to return not only enjoy the food and atmosphere, but to support the management in their decision to reopen.